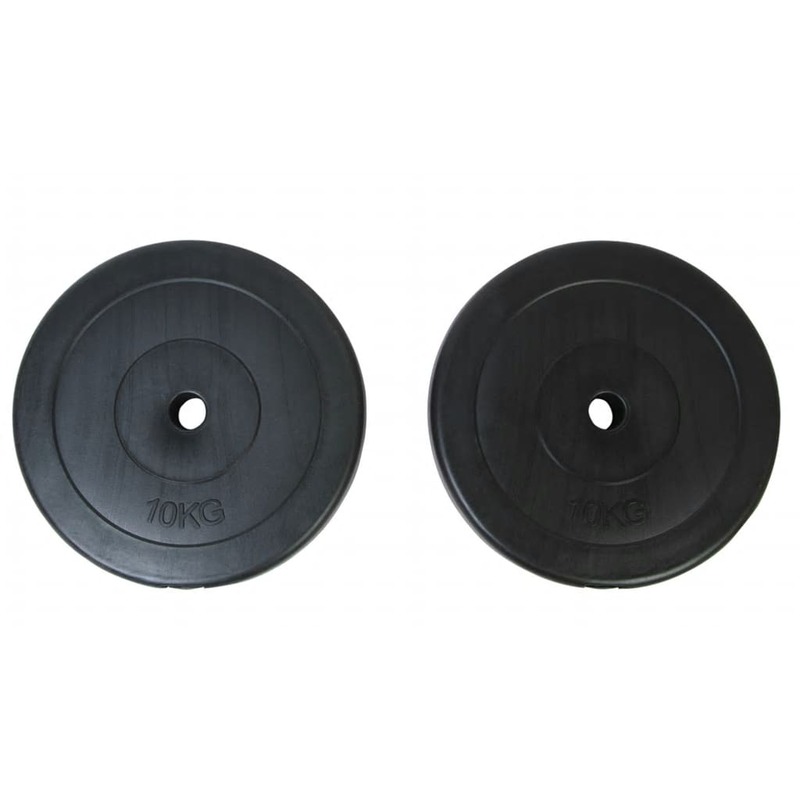 These 2 weight plates are suitable for all your professional weight-training at home. 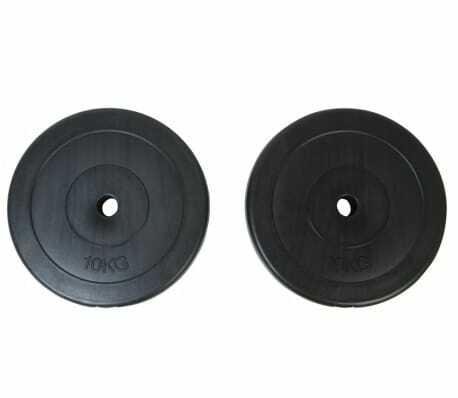 Each weight plate weights 10 kg. The weight plates are covered with robust, floor-friendly plastic, which allows you not to experience any annoying clanging sounds of the weights.